You’ve probably heard that robots can do a lot of things these days. But did you know that they can dance in a flash mob or help clean up nuclear waste? In Jeremy McGilligan-Bentin’s 5th grade class at West Side Elementary School, they do these things and more! A Tynker Blue Ribbon Educator and math/science teacher in Elkhorn, Wisconsin, Jeremy’s dedicated to helping his students become the next generation of engineers and scientists. With the help of the Project Lead the Way (PLTW) Launch program, students in Jeremy’s class discover the excitement of exploration as they code and program robots, fly drones, and perform experiments! It’s clear that, in Jeremy’s class, students aren’t just comfortable with technology; rather, they leverage its power to solve problems, build communication and collaboration skills, and engage with content that’ll prepare them for the future! Jeremy’s students get excited about harnessing the capabilities of technology. Along with impressive projects like coding robots to move in a pre-programmed sequence, they also use code to make drones fly, thereby practicing their programming language fluency. Although he is a math and science teacher, Jeremy understands the importance of weaving STEM concepts into all subjects. In a video he created about going beyond one hour of code, Jeremy encourages teachers to integrate STEM, and specifically coding, into their classes. He asks: “Could your students code a battle from the Revolutionary War?” He further suggests that teachers can have their students “code reading projects,” “code historical events,” and more! But it’s not just his students’ technical skills, like coding and design thinking, that are important to Jeremy: Just as important are their “soft” skills, like the ability to work together as a team, their communication skills, and their willingness to persevere with difficult tasks. That’s why a typical day in Jeremy’s classroom includes student-to-student interaction and opportunities for problem-solving. 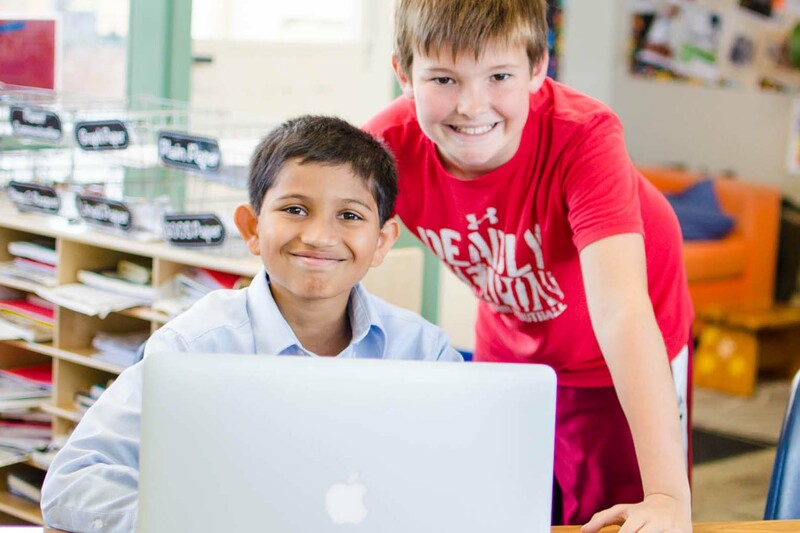 Jeremy understands that the right coding platform can foster collaborative learning among students as they support each other: “Tynker days are pin-drop silent in my classroom, with the exception of collaboration between students. Students love to help each other [with] their coding projects.” Engineers need to effectively communicate information to others as well as with others to other teams. Fortunately, students in Jeremy’s class practice these very habits of communication as they deliver group robotics presentations. And coding helps Jeremy’s students develop persistence as they code difficult projects, like a project where dinosaurs eat each other! We’re proud to have Jeremy McGilligan-Bentin as part of our Tynker community! We’re sure that his students will continue to learn the technical and character skills they need to be successful now and in the future. Read our previous post about Tynker Blue Ribbon Educator Mark Schwanz, who implements technology in his TK classroom to help foster student self-efficacy!